If you are looking for bling then look no further. 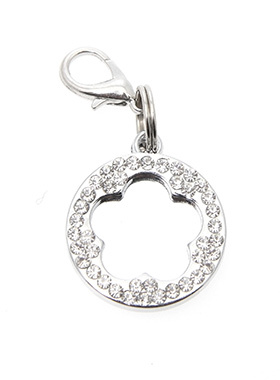 Our Bone Diamante Dog Collar Charm is encrusted with diamantes and if that was not enough it also has a mirror finish inset. It attaches to any collar's D-ring with a lobster clip.